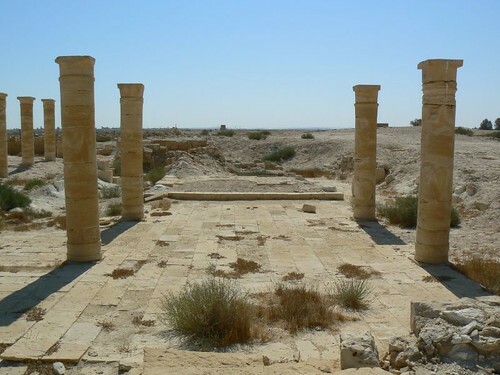 Nitzana is an ancient Nabatean city located in the Negev desert in Israel close to the Egyptian border. 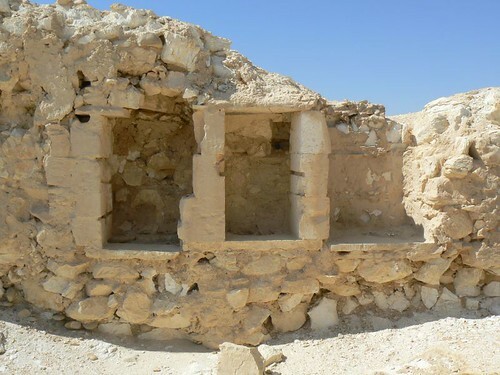 It may have been a station on the eastern branch of the ancient Spice Route, serving pilgrims and merchants traveling to Sinai or central Egypt. 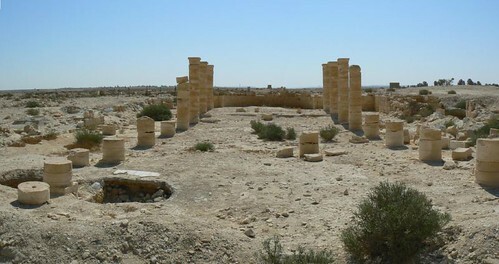 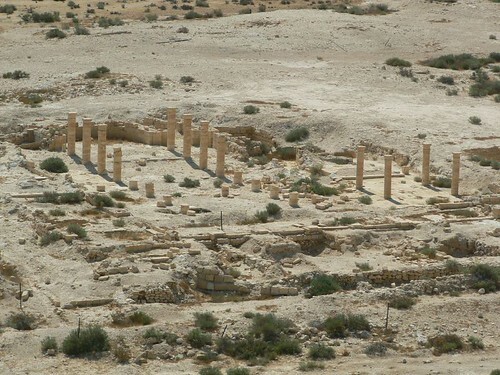 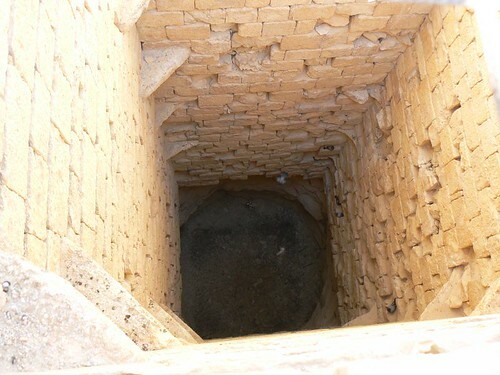 The Nabatean towns of the Negev were typically founded around the first century BC, conquered by Romans two centuries later, and inhabited by Byzantine Christians since the 4th century until the wars of the 7th century. 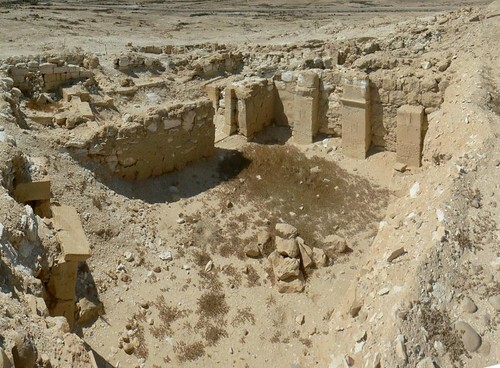 A large number of papyrus scrolls dating from the fifth to seventh century was discovered there. 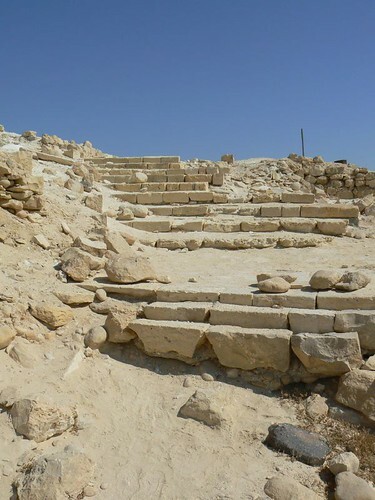 One of the scrolls describes the deeds of St. George who resisted the anti-Chrisitan laws given by the Roman Empire. 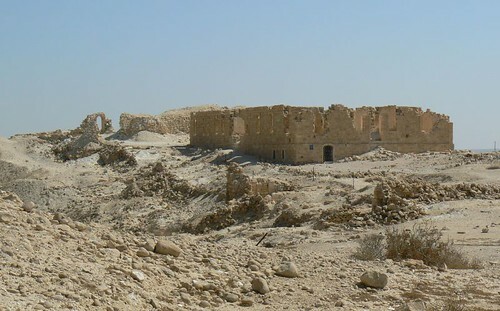 The Ottoman Hospital – built on the ruins of the Nabatean-Byzantine city. 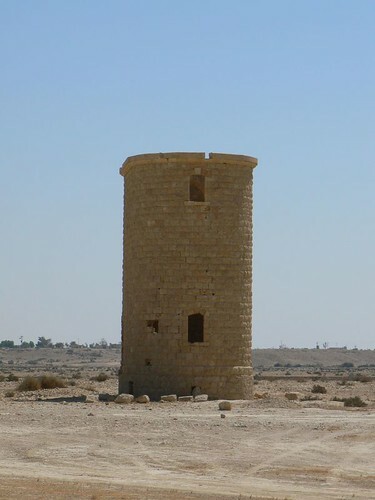 A water tower – part of the Ottoman train station at Nizana (Hu’ga-el-Hafir).